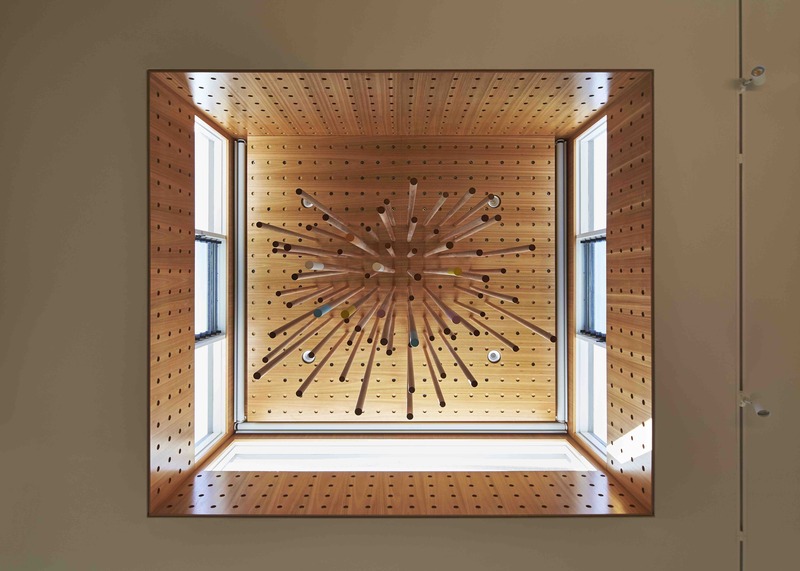 Dowels are elevated to higher level in this residential project, blurring the boundaries between the functional, the decorative and art. 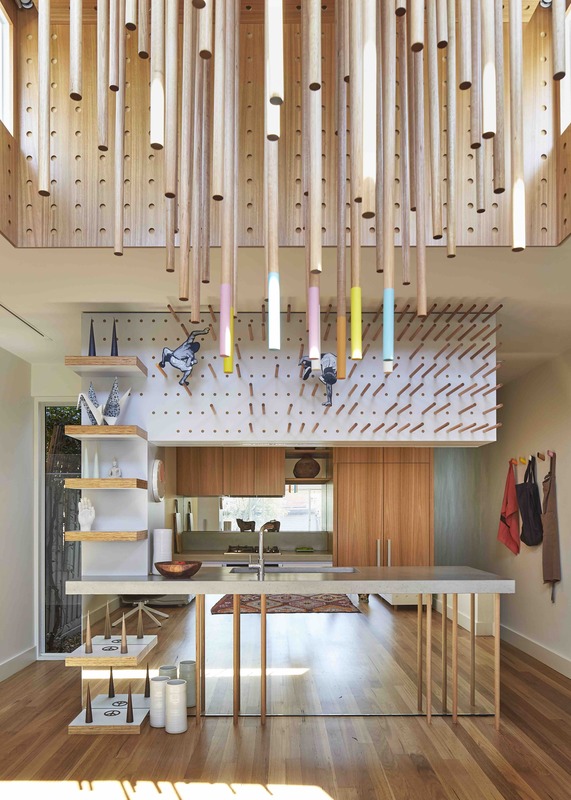 The use of the dowel then extended to is application within the kitchen as an art display device, shelving and support legs for the concrete benches. 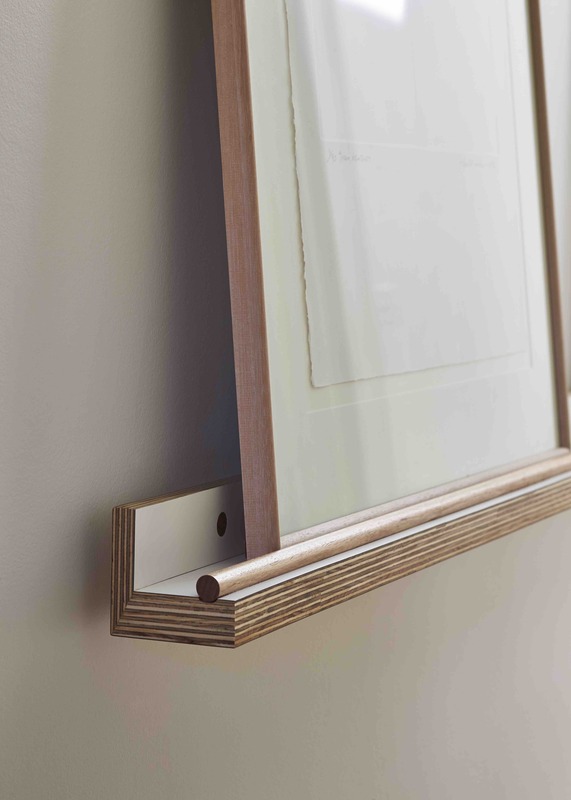 The dowels are also used as display ledges for the client’s extensive art collection, doors pulls, towels rails and wall hooks amongst many other things. The study takes its cues from the kitchen and clerestory windows, reinterpreting the dowel as a bookend and desk leg in the study space. 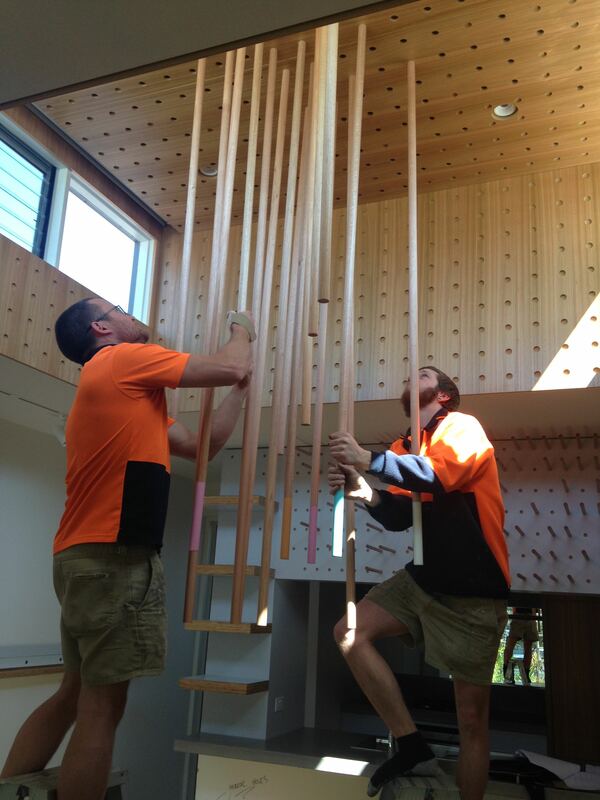 The study includes the use of display ledge that incorporates the dowel as a means to anchor it to the wall. The design of this display system is highly flexible, allowing the artwork to be rotated over time. This humble material is elevated to higher level, as it blurs the boundaries between the functional, the decorative and art. This is an interior floor of a single fronted terrace house. The layout remained as is, with the central study to flexible to as 3rd bedroom or study. A clerestory skylight was to remain but be furbished to become a point of focus over the dining area. 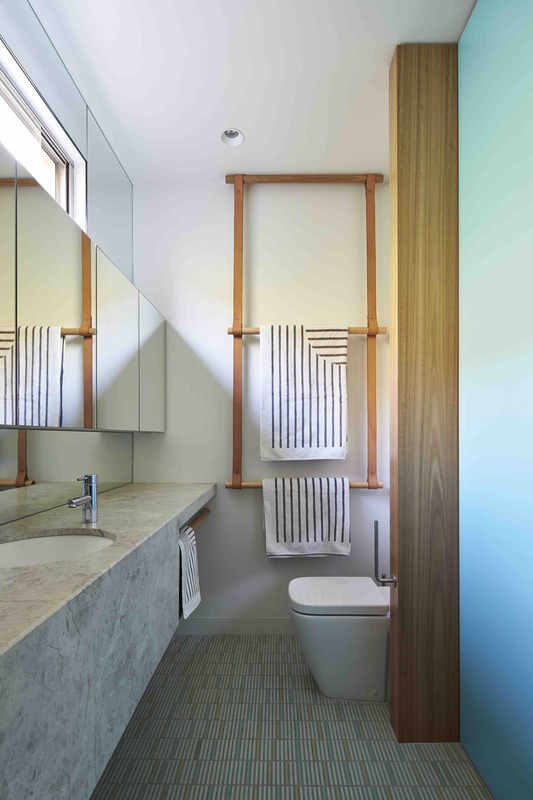 Timber veneer was used in various applications in the project, beginning with the kitchen cabinetry and wrapping around to the hallway to the bathroom and study door. 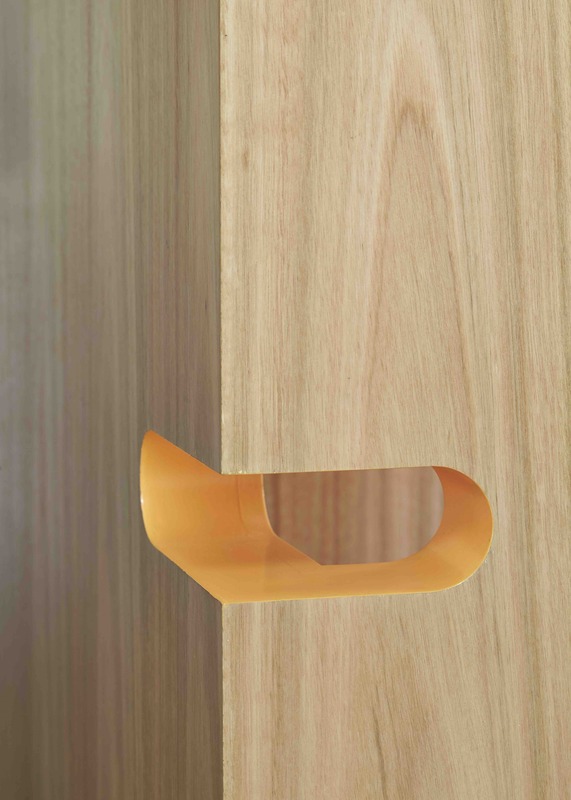 Tasmanian Oak was used for its versatility and use in a wide range of applications, from its use in the cladding in the skylight to the kitchen cabinetry. 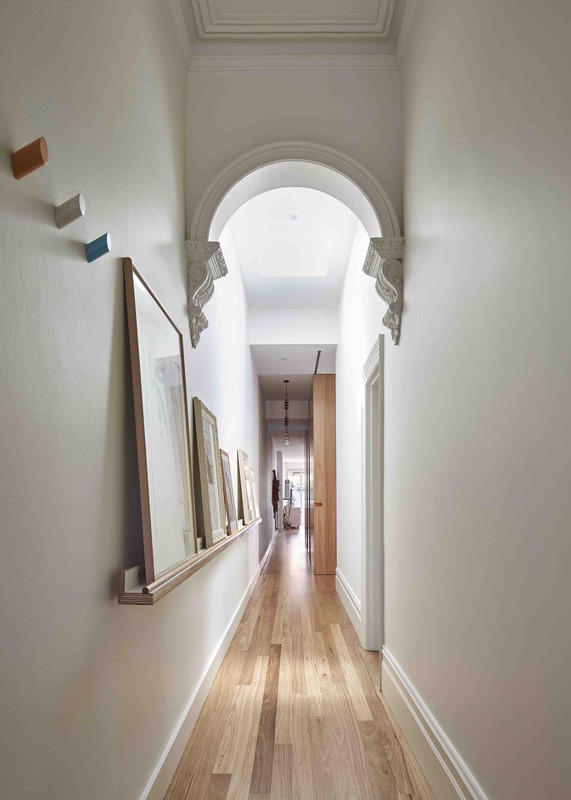 Its ability to be glue-laminated to cover long spans meant it was ideal for our project to cover both the kitchen and hallway, creating a unified material along the hallway. 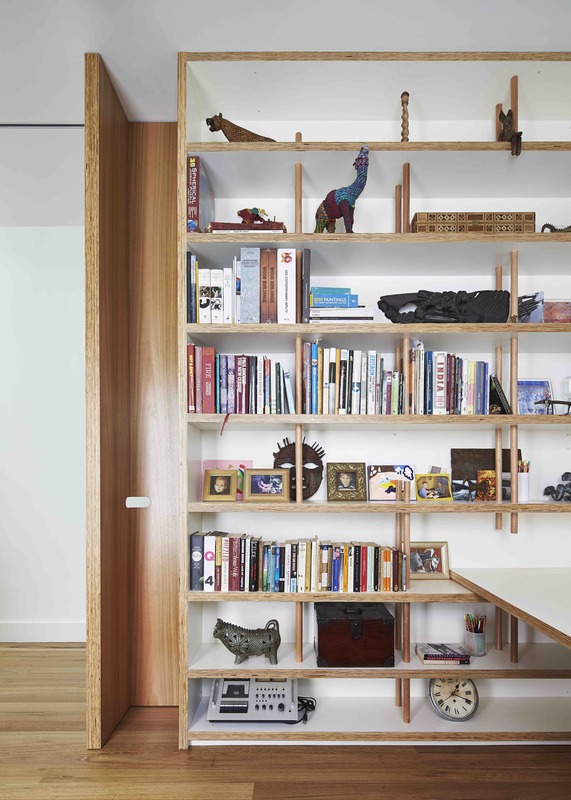 Consistency of colour and grain creates a seamless transition between the spaces. The Tasmanian Oak veneer and its featured grain reinforces the design concept of bringing warmth and texture into the spaces whilst offering a continuity between the joinery elements. 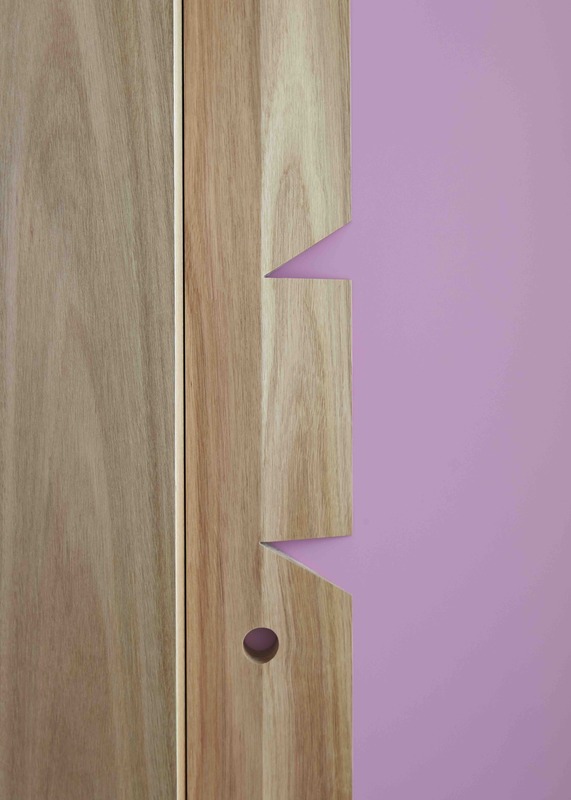 The consistent colour of the timber works in harmony with the pastel colour accents used throughout the house.